Do You Need a Passport to Travel to Puerto Rico? Traveling internationally isn’t as simple as purchasing a ticket and hopping on a plane – you need to make sure that all appropriate documents are in order well before you leave for the airport so that your trip goes off without delay. However, the fact that certain countries require documents like a passport and others do not complicate things. When it comes to the next big personal or business trip to Puerto Rico, there are a few key things you’ll need to keep in mind. 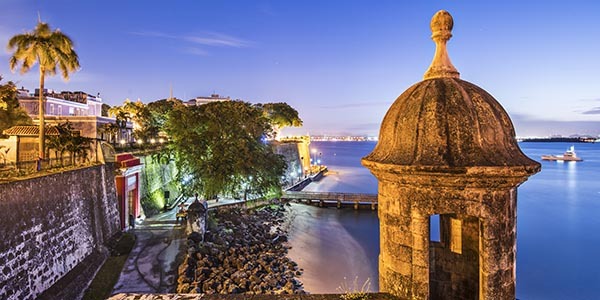 Thanks to Puerto Rico’s status as Free Commonwealth of the United States of America, there is no passport requirement for United States citizens. You will, however, need to prove your citizenship with a valid form of identification like a driver’s license. This includes passengers from areas like Guam, the US Virgin Islands, American Samoa, Swains Island and the Commonwealth of the Northern Mariana Islands, as well, provided that you go directly to Puerto Rico and do not set foot in a foreign port or place before your arrival. Travelers from ALL other countries will need a passport to both enter and leave Puerto Rico. If you’re traveling to Puerto Rico and need to apply for a US passport, you can go to a local court or passport office in your area. If you find that your trip is coming up and you don’t have the time to wait the six to eight weeks that is typically required for standard processing, you may choose to go through an expedited passport service instead. These people will come to your home, collect all important documents and other information and submit it all on your behalf. They can have your completed US passport in your hand in as little as 24 to 48 hours, depending on the area of the country where you live and the time of year during which you apply. During the busy summer travel season, for example, you can usually expect processing times to be a bit longer due to the larger volumes of applicants.